Attractions and things to do in Moraira, Spain. Moraira on the Costa Blanca in Spain is an exclusive coastal city that caters to the discerning tourist. You will not find any tall hotels or apartments here, just clean beaches, well-kept streets and many good shops and restaurants. 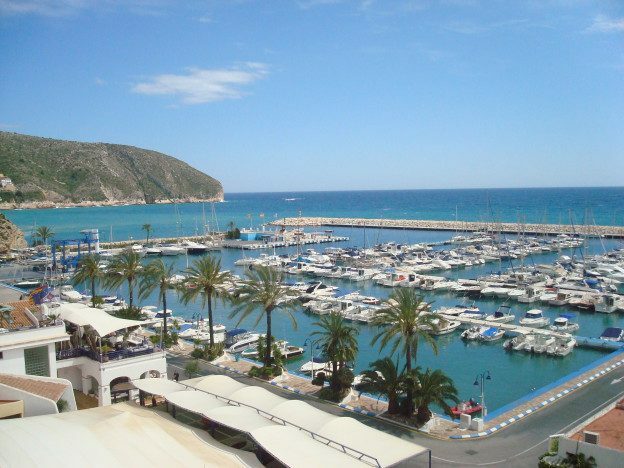 Moraira is a resort that has developed a lot over the years from a small sleepy fishing port to a popular tourist area. There are plenty of things to do in Moraira, and here we will show you top sights and attractions in Moraira. 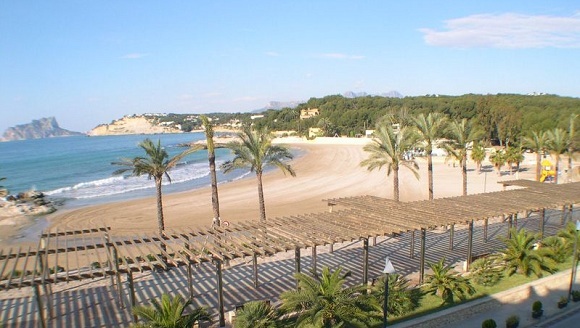 Moraira is located in the middle of Valencia and Alicante. If you drive from Marina Baja, you can choose the coastal road from Calpe. Here are charming little places in a row. The place is characterized by beautiful slaky sandy beaches and sheltered little spots, an exclusive marina, an excellent selection of excellent restaurants and bars, as well as many shops. Friday is the market day, with a good selection of ceramics, leather goods, fruits, flowers and vegetables. Fresh fish can be bought at the fish auction in the morning. In Moraira there are plenty of activities and things to do for the whole family. Here we will take care of the most important and give you tips and advice on things to do in Moraira, Spain. If you rent a car in Moraira, you can also take a tour and visit the nearby cities of Alicante province. The castle of Moraira is an 18th century fortress on l’Ampolla beach in Moraira. The Bourbon royal coat of arms hanging over the front door, describing the year construction work was completed. It has been documented that Castillo de Moraira was planned by Juan Bautista Antonelli to protect the coast from the 16th century invaders, but, according to a plaque at the entrance, it was not completed until as late as 1742. 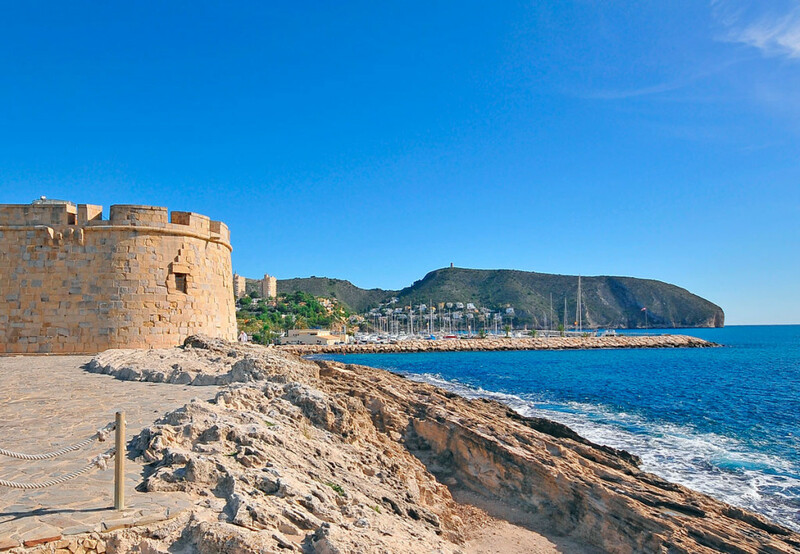 Castillo de Moraira was built to protect the city from pirates attacking this coast. The shape of the building is known as a pezuña de buey (beef court). Inside there are three wings and two floors. The castle is 10 meters high. A look was held from small openings in the walls, and the cannons were mounted in the weapon ending around the top of the castle. It is known that the castle was armed with four bronze cannons and that the castle was severely damaged by the British Navy on July 20, 1801. The castle was completely restored in the early 1980s and is in good shape today. Start on the main street, known as Dr. Calatayud, and visit the local church built in the 19th century. Its special doorway with its arches and piers is a typical example of the region’s architecture known as Riu-Rau. 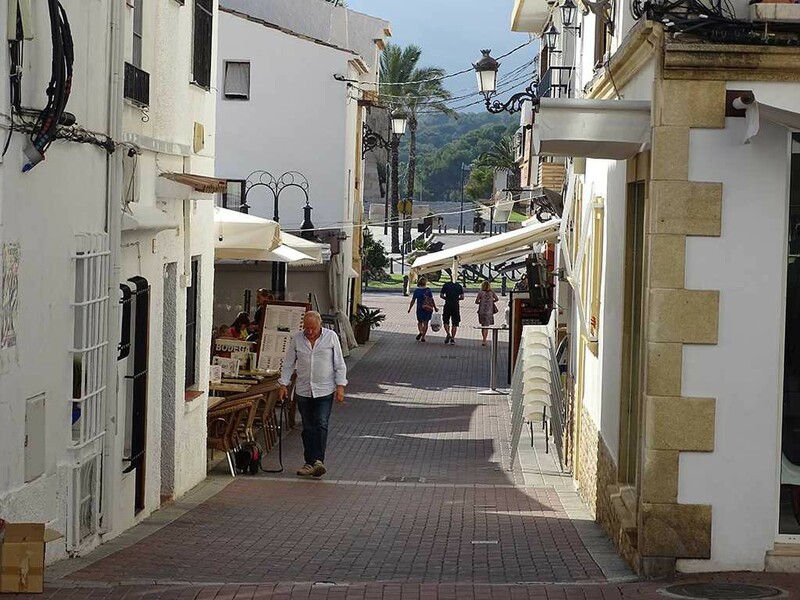 Go down Almacenes and you will come to Playas y Mar street, which is the oldest and most picturesque street in Moraira. After stopping to take pictures, you will come to the old backing wall called Margenot, which protected Moraira from the stormy ocean. If you do not want to go, you can take a tourist train that goes along the main streets, past the gate and towards the El Portet beach. The Moorish influence can be seen today in buildings and architecture throughout the city, and it is seen that many of the local names originate from the Moorish language. The Moors were thrown out in the 13th century by the Catalans, who introduced the Valencian language. This still depends on today, despite Franco’s stubborn attempt to monopolize Castilean as the official Spanish. 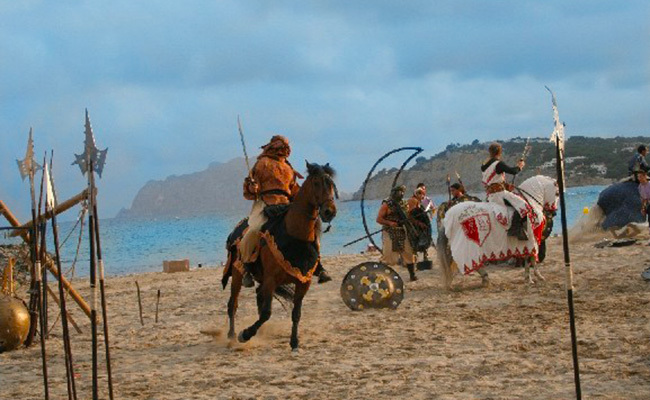 Moraira can also showcase some of the most spectacular of fireworks when the story of how the Moors were thrown at sea should be portrayed during the city’s fiesta. There are plenty of things to do in Moraira for the whole family, whether you are on holiday or staying here year-round. Activities in Moraira include go-karting, fishing, golf, tennis, squash, boat rental and charter, horse riding, scuba diving and bowling. This entry was posted in Moraira and tagged attractions, costa blanca, moraira, spain, things to do on November 7, 2017 by webmaster.